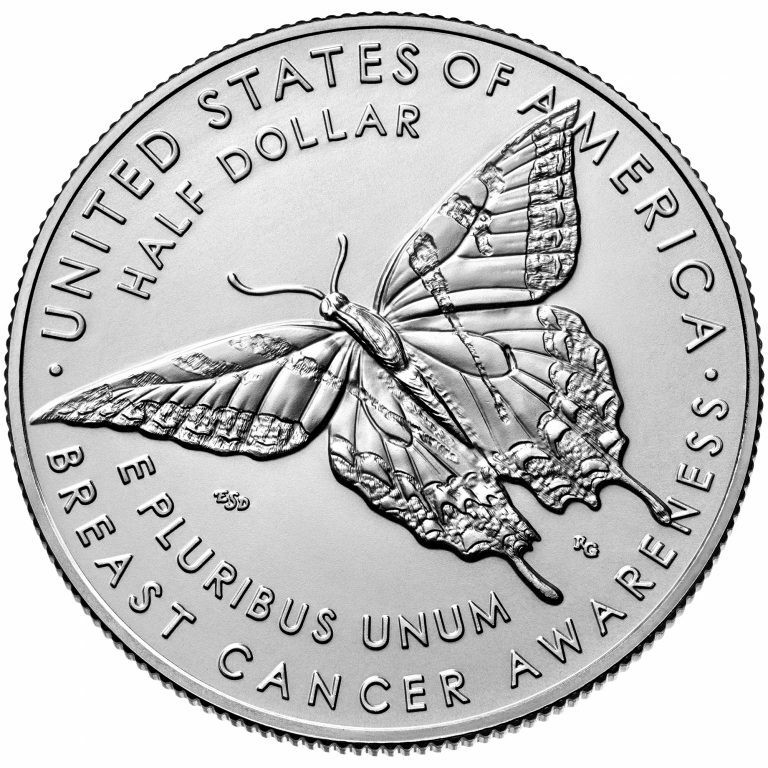 The price of each clad half dollar coin includes a surcharge of $5, which the law authorizes to be paid to the Breast Cancer Research Foundation for the purpose of furthering breast cancer research funded by the Foundation. 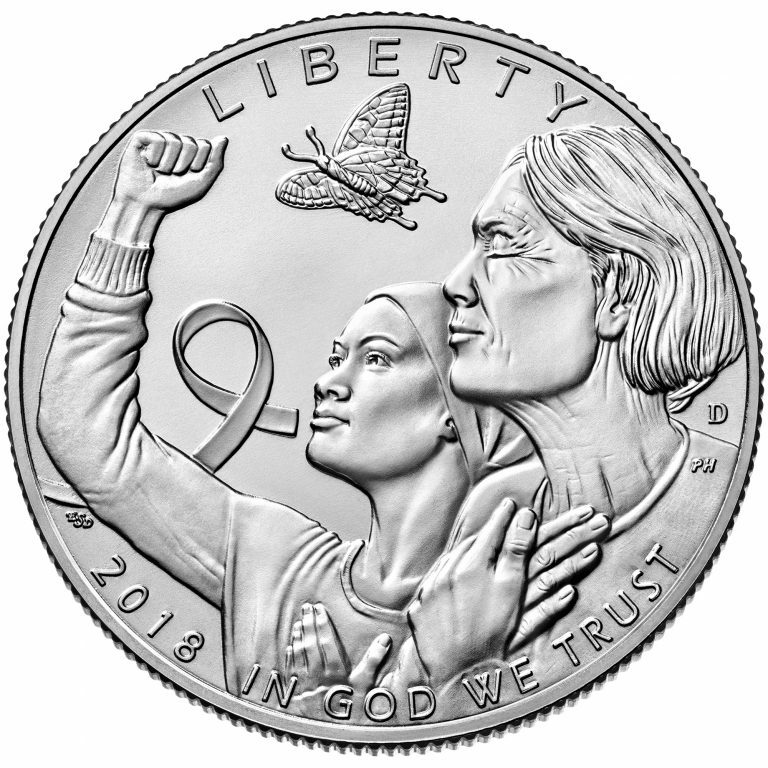 The obverse (heads side) design features two women. The older woman has her hands on her chest and a relieved expression on her face. The younger woman, with a scarf on her head, holds one hand over her chest and the other raised in a fist as if she is ready to fight. 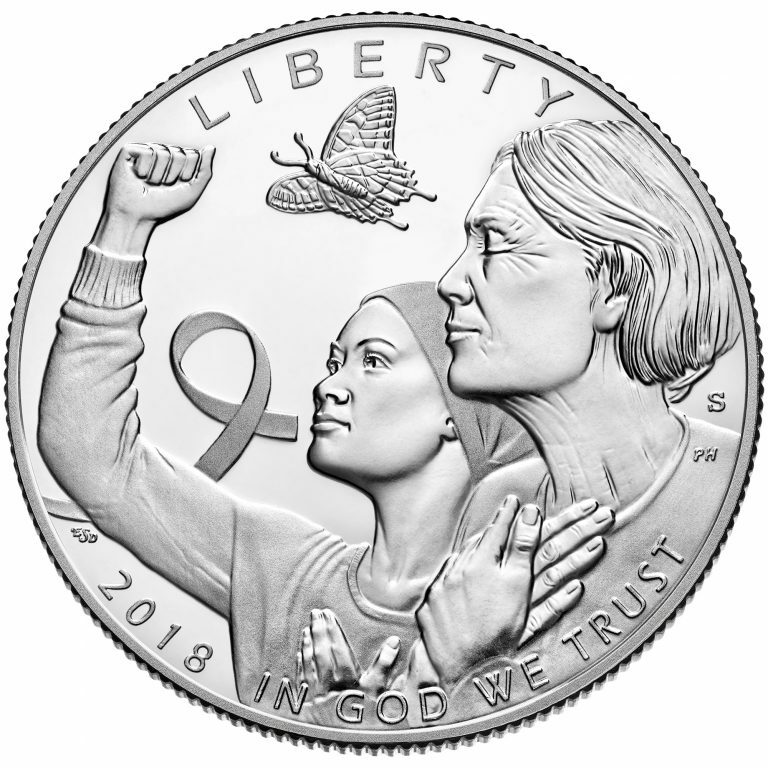 A butterfly flies above the two women. 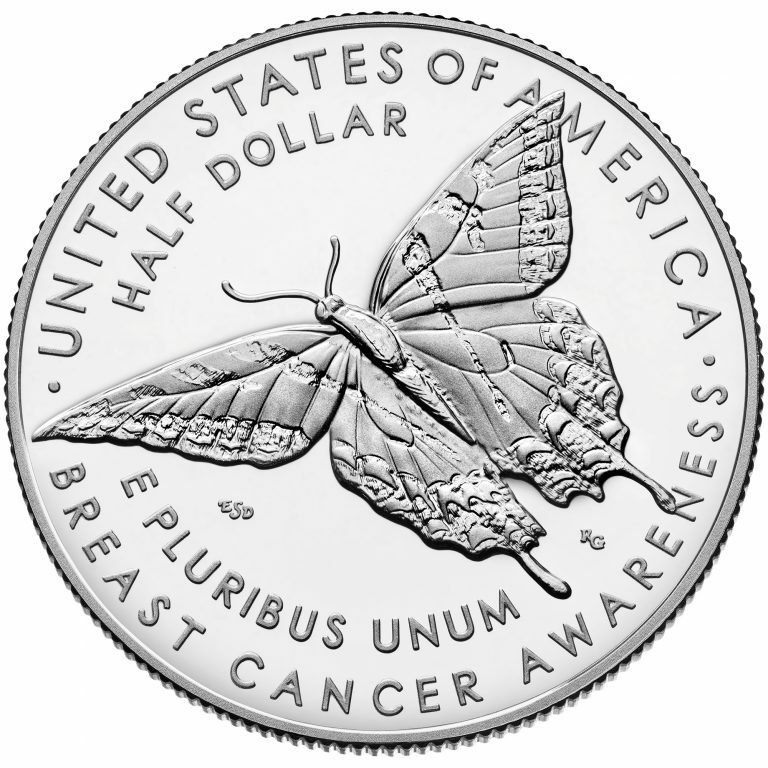 The reverse (tails side) design depicts a Tiger Swallowtail butterfly in flight, a symbol of hope.